Lapsed Donors: How do we get them back? Last week Sage Nonprofit Solution released their first donor loyalty study of which I had an opportunity to participate in. First things first: One of my most shocking revelations from the study was that only 29% of nonprofits have a lapsed donor program. That mistake presents a huge opportunity for others. If you are one of those organizations that does not want someone to come in and take your lapsed donors, here are a few ideas. Plan: It is important that the efforts expended on your donor recapture program result in revenue for the program. Make sure you have a clear goal for the program and identify exactly how much is needed to create a positive ROI for the program. If your program isn’t producing revenue then invest your time in something else. Identify: Who should you target? Past donors that were true givers (above $20-more than one gift), strong volunteers, or well-known supporters are great targets. Don’t leave anyone out of your email ask, but make sure you select the most likely candidates for recapture for any direct mail programs. what you have been doing. the impact your programs are having on the community. the results of your program. what is going to happen if your program goes away. DON’T call lapsed donors LAPSED or ask them to come back…DO give them a reason to come back!!! How: After assessing whom you will contact and what you will say, you will need to determine how you plan to communicate with him/her. Set up a monthly program that includes email, direct mail, and phone calls. You never know what the trigger for giving again will be or when it will come. In the early stages of the program, it is critical that you test. Test which variable has the strongest response, test the message that you are sending, and test the frequency of the messages themselves. Make adjustments often and continue to evaluate the program. 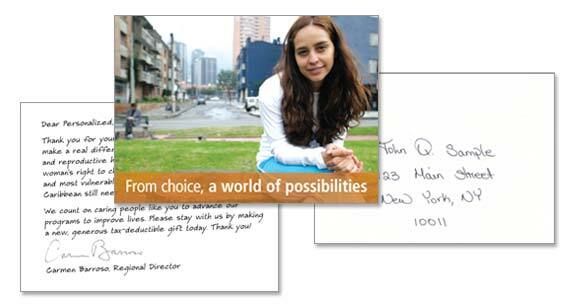 Success: When you successfully recapture a donor, be sure to send a hand-written thank-you note. I also recommend that following the first gift, you send a very short survey asking how you can improve. It might reveal why he/she left in the first place. It will allow you to improve for others and avoid the same mistakes of the past. Take-away: Recapturing a donor is time-consuming and difficult. Invest in a strong program that makes your recapture program less critical, but keep in mind that saving a donor is less expensive than recruiting a new one. Good Luck with your lapsed donor program!